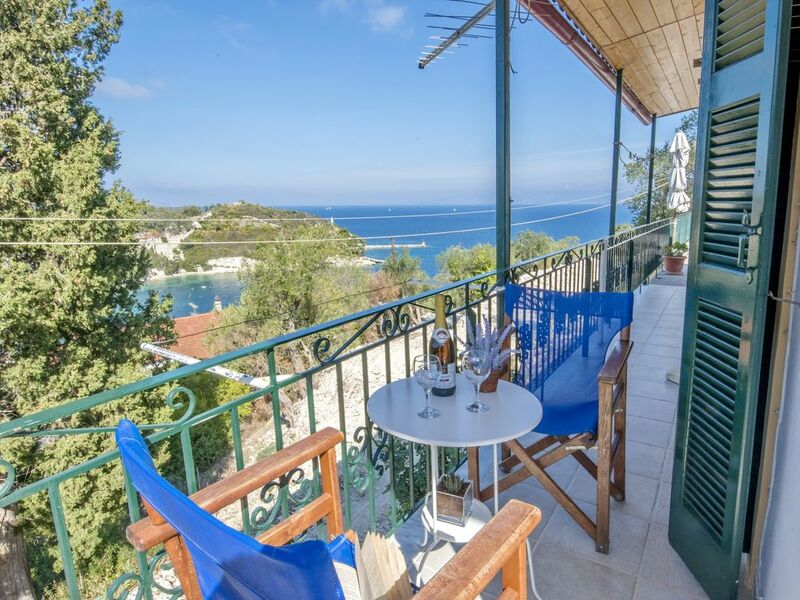 Two one-bedroom apartments perched on the hillside above Loggos offering both easy access to the village as well as dramatic views over the bay of Loggos to Corfu and the Greek mainland. Outside, both apartments offer a good amount of space. Both have a veranda at the front with table and chairs, while the first apartment has a private side terrace and the second one a large open space to the side. Inside, the apartments are completely self-contained and perfect for couples looking to enjoy the picture postcard tranquillity of Loggos without the need for a car. Each apartment has a twin bedroom, kitchenette/dining room and separate bathroom and all have been tastefully decorated to a high standard. Access to the village is an easy walk down the donkey steps which bring you out into the heart of the cafes, bakeries and tavernas that make up the pretty village. There is also good access to walks in and around Loggos, and the beaches of Levrechio and Marmari are only a short 10-minute walk away. What a wonderful way to wake up every morning and have that superb view of the harbour. The apartment has everything you need with a good cleaning service. The reason you get the view is that the apartment is up a steep hill. Whilst this was fine for us, anyone with mobile issues it would not be appropriate unless they had a mobile aid. Paxos and in particular the village of Loggos is truly fantastic. Poppy 2 is a great base for a couple. The accommodation had everything we needed, is comfortable, has great outdoor space with stunning views over the bay.